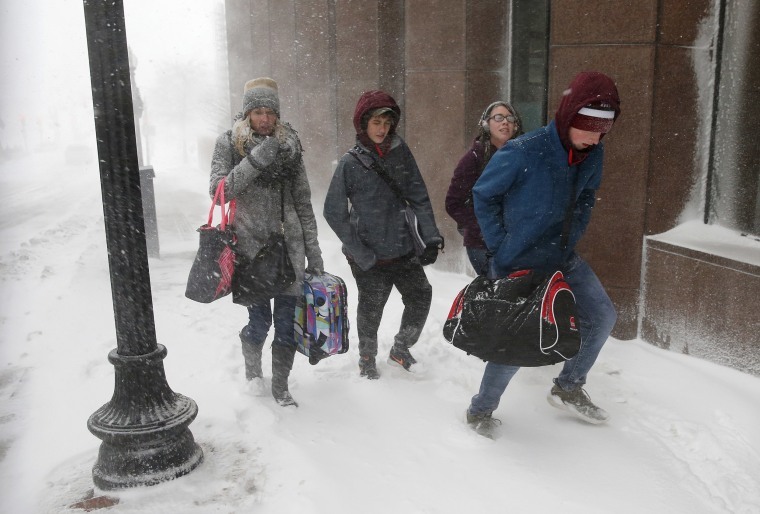 High winds and heavy snow pummeled the Northeast, shutting schools and government offices and leaving tens of thousands without power. 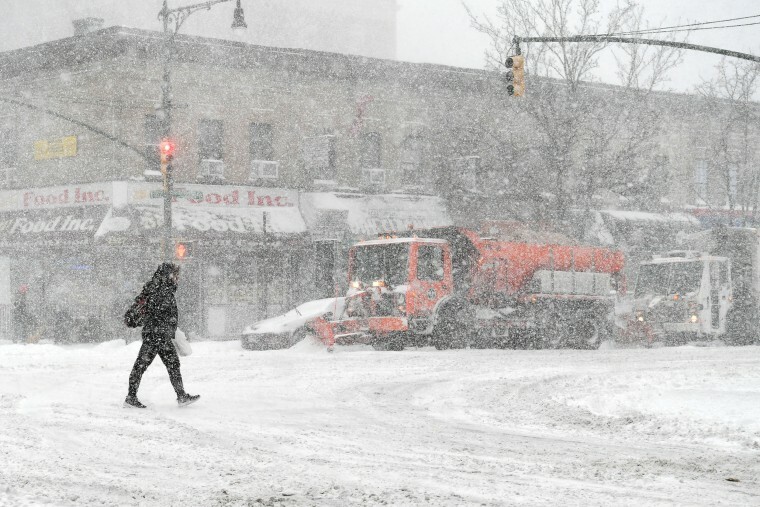 A pedestrian crosses the street in Harlem. 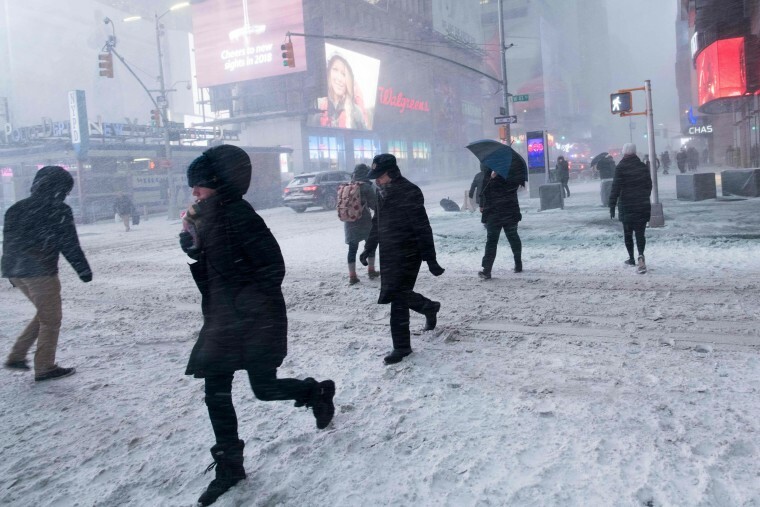 New York could see up to 10 inches of snow and wind gusts as high as 50 mph, the National Weather Service and city officials said. 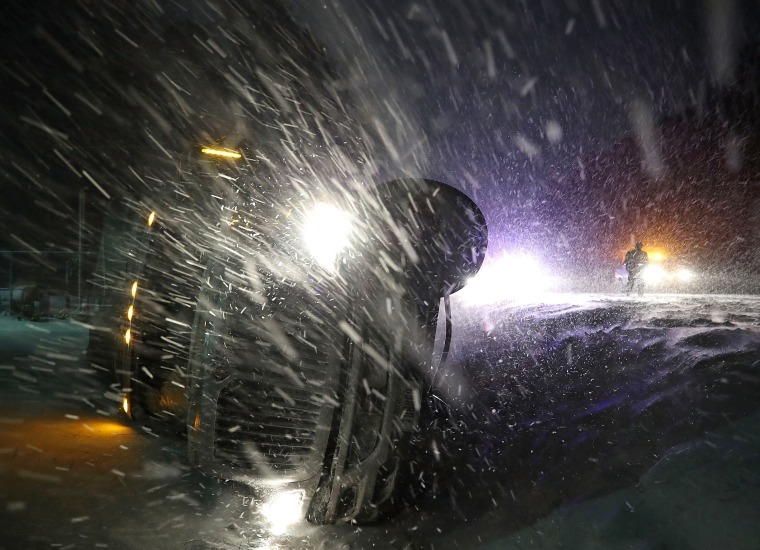 Forecasters have called the storm system a "bomb cyclone" for its rapid and rare drop in atmospheric pressure. People carry luggage through the snow. 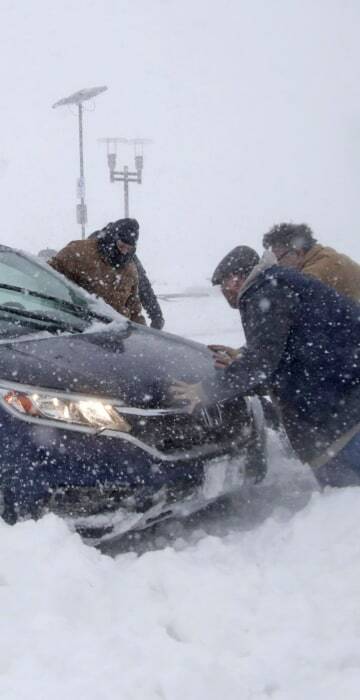 A group of men help a motorist after his vehicle was stuck in the snow near the Asbury Park boardwalk. 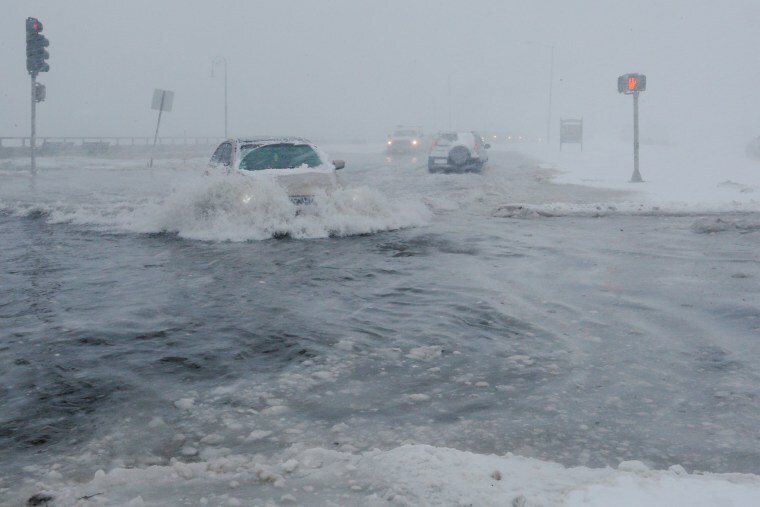 Drivers make their way along the flooded Beach Road after the ocean overtopped the seawall during a winter snowstorm in the Boston suburb of Lynn. 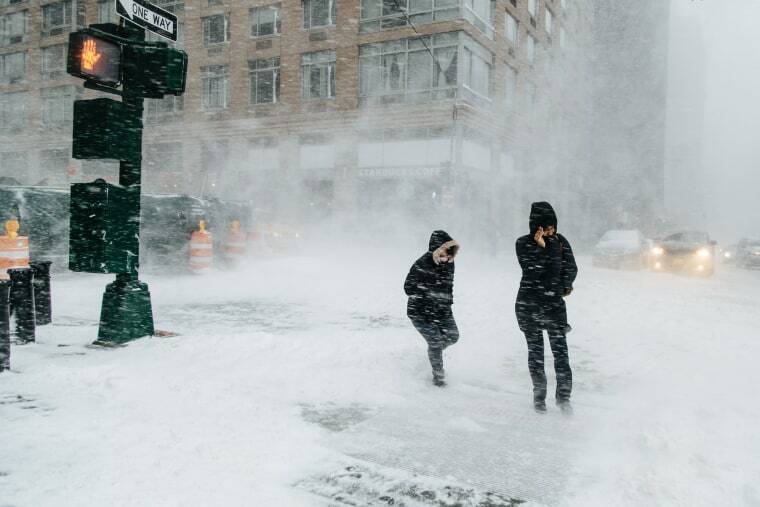 Pedestrians are buffeted by heavy winds in Manhattan. 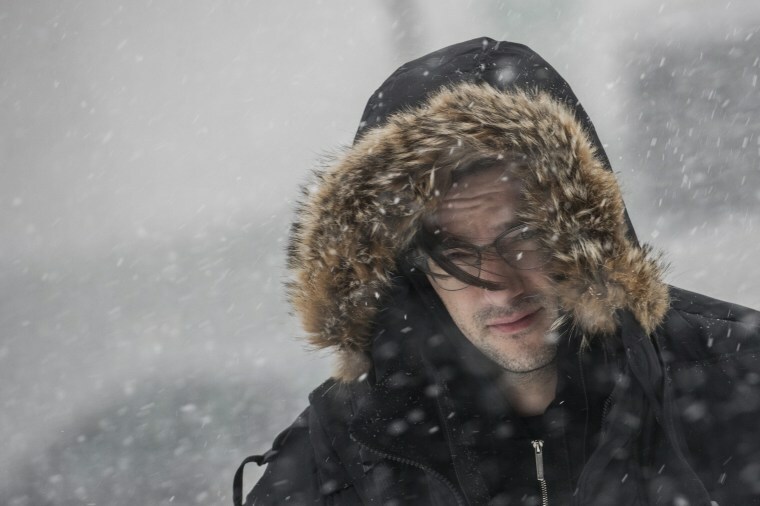 A man pushes his way through driving winds in Atlantic City. 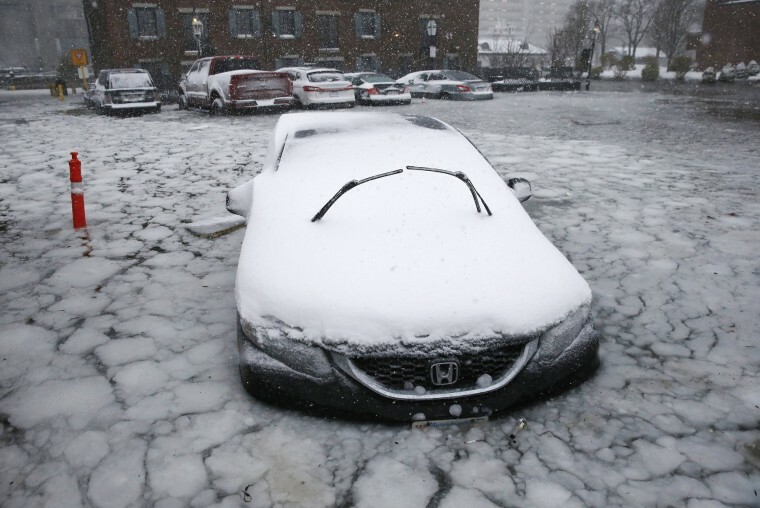 A car sits in floodwaters from Boston Harbor on Long Wharf. 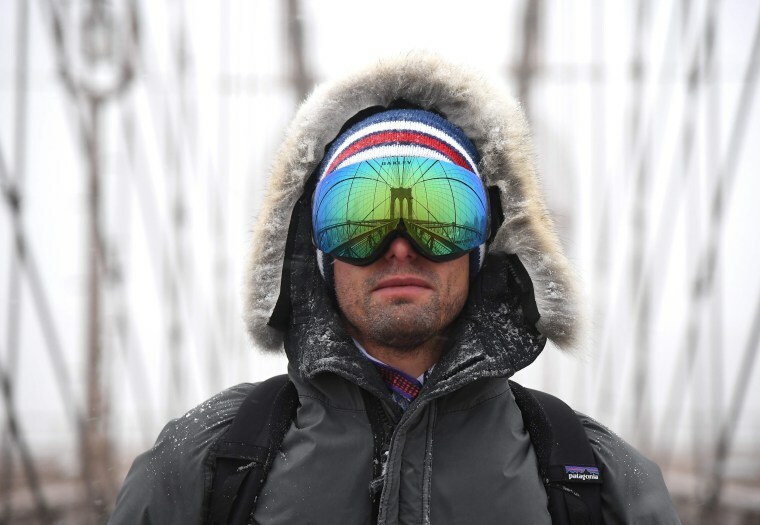 A man's goggles reflect the Brooklyn Bridge. 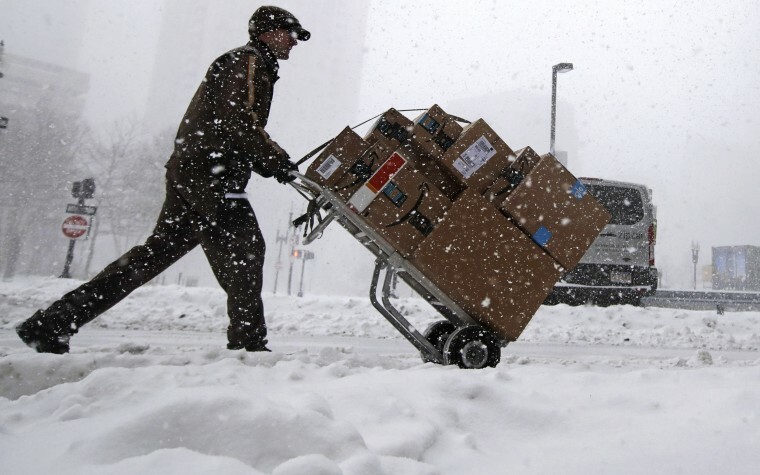 A delivery man wheels a cart across the snow-covered streets. People make their way through Times Square. 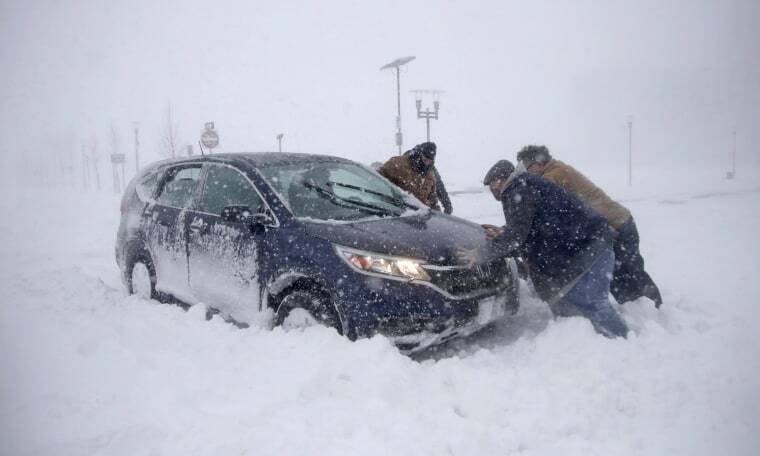 Vehicles are stuck in the snow on a roadway in Virginia Beach. 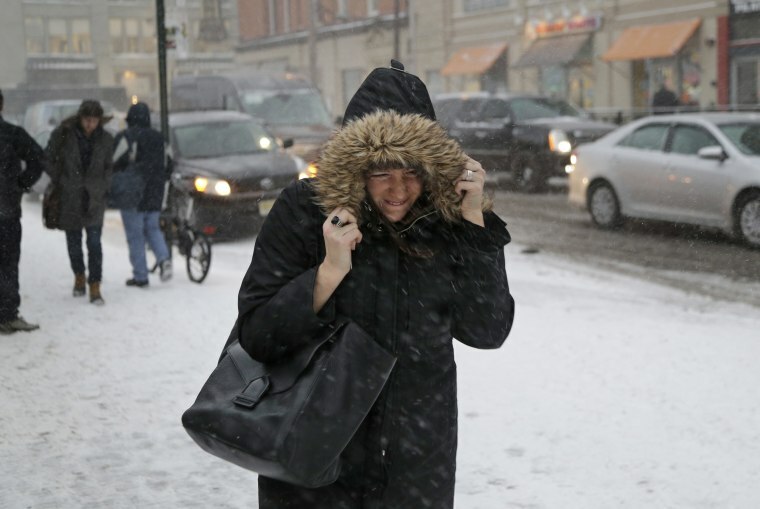 A woman makes her way to the train station in Hoboken. 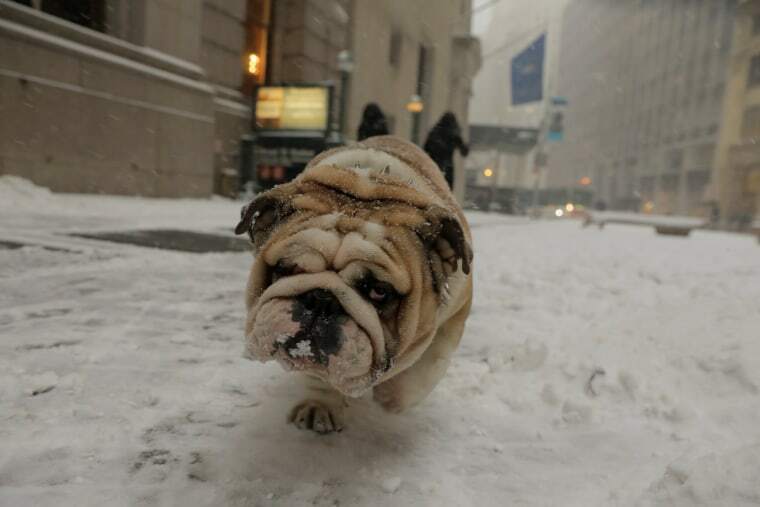 A bulldog walks through the snow. 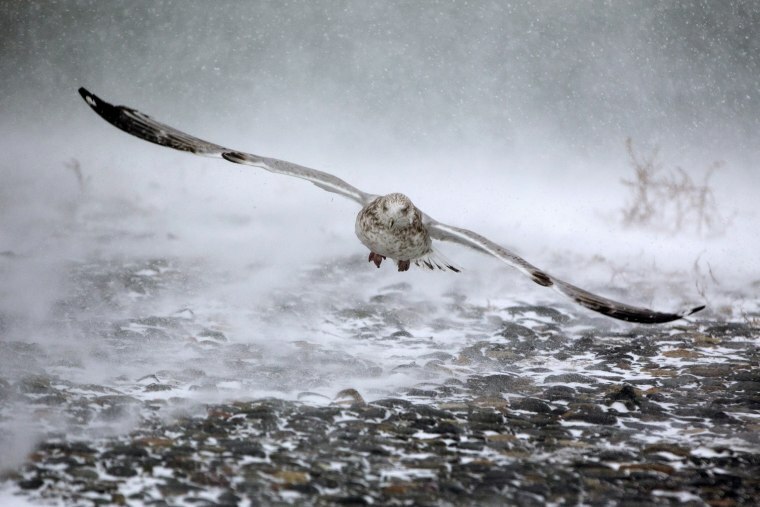 A seagull takes flight in Hull. 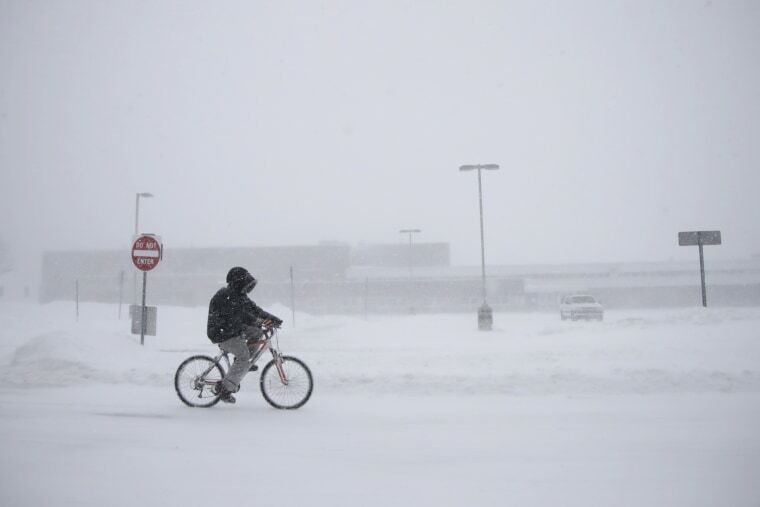 Justin Hartman rides his bicycle in whiteout conditions in Wall Township. 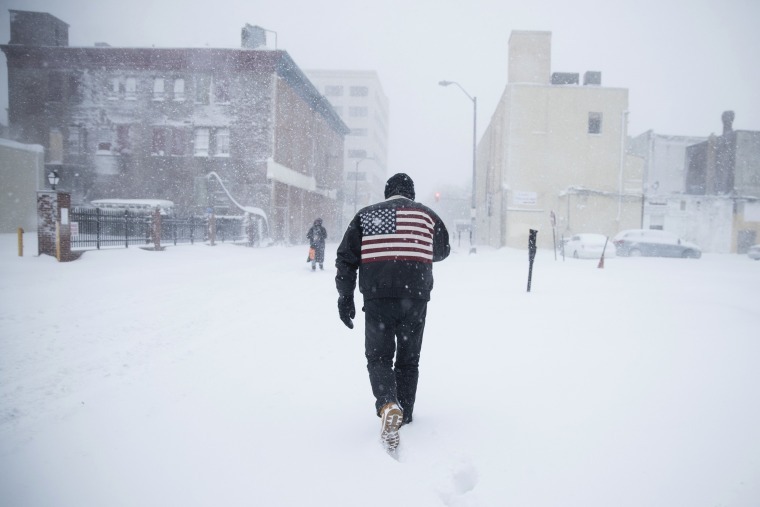 A man walks through the snow during the morning commute. A tractor trailer lays on its side after running off the road in Georgetown. 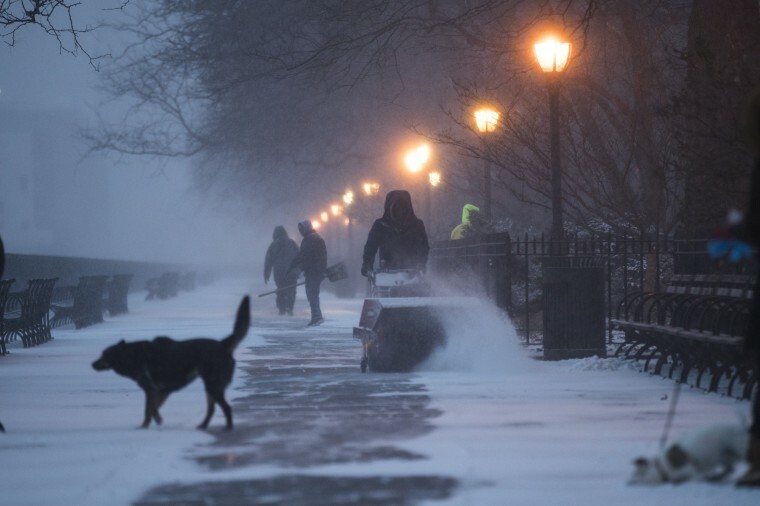 A worker clears snow on the Brooklyn Promenade. 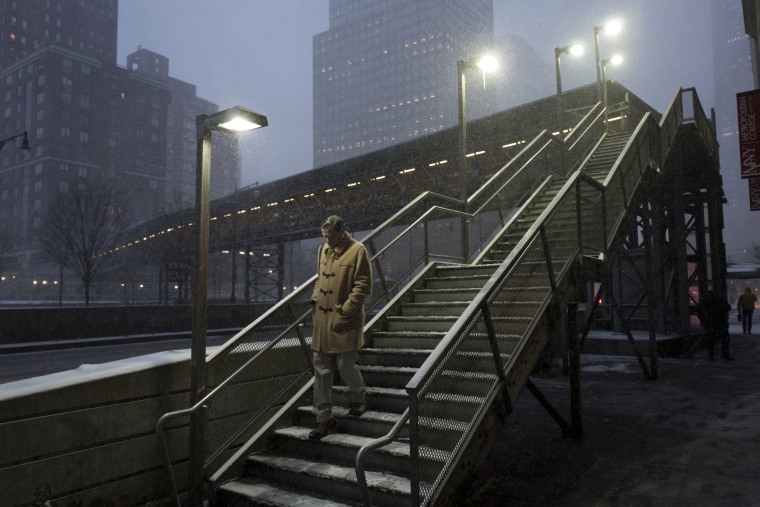 A man walks down a staircase through an early morning snowfall in Manhattan. 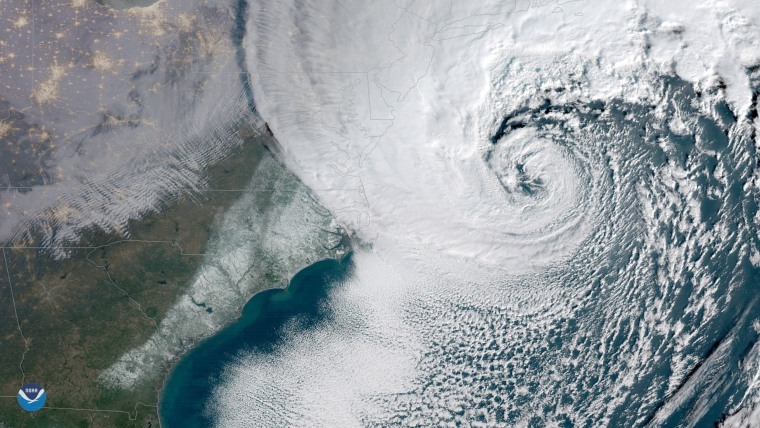 A satellite image shows the powerful storm moving up the eastern seaboard.